Now you can add other users to access your account directly. 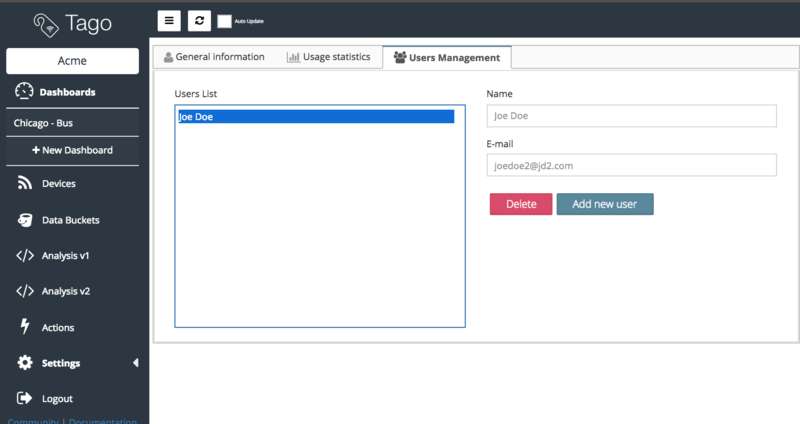 Account owners can add users in the Users Management tab located under the Settings menu. The screenshots below shows how to add a new user. Each user will have access to all feature and sections of your account with exception of the Settings section. 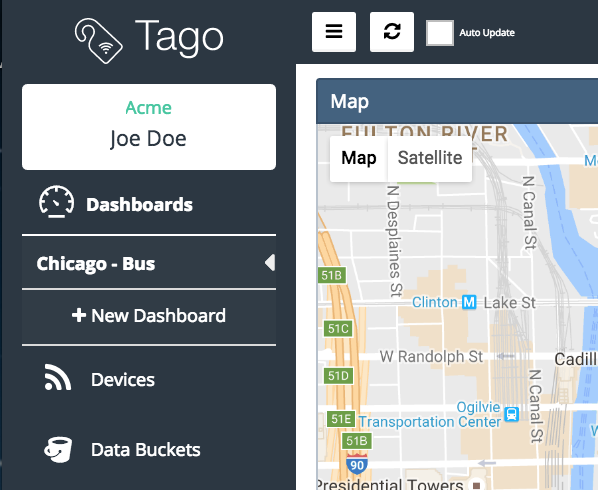 Before adding an user, make sure he or she already have an account at Tago. 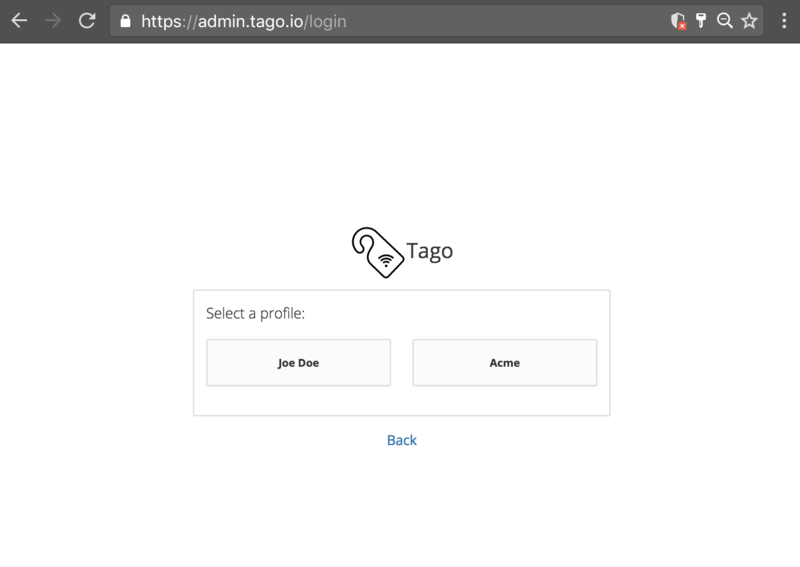 When an user log in the first time, if more than one profile has been created for him or her, the profile options will show up in the login screen to be selected (picture below).